In 1917, Russian communist leader Vladimir Lenin published “Imperialism, the Highest Stage of Capitalism,” which provided the working class with a theoretical tool to understand the capitalist crisis, the great war in Europe, and socialism as a feasible alternative. Since then, the book has become a standard Marxist reference in analyzing the global economic situation and in particular, the real cause of the recurring social crisis engendered by capitalism. Its continuing relevance was recently affirmed by Ibon’s Institute of Political Economy which published “Lenin’s ‘Imperialism’ in the 21st Century,” highlighting the contemporary manifestations of imperialism. Lenin’s thesis on imperialism was applied in assessing the legacy of neoliberalism, rising militarism, rivalry among superpowers, and the prospect of the global socialist movement. In the book, Antonio Tujan Jr. discussed how imperialist powers led by the United States exploited neocolonial economies. Paul Quintos explained how the financialization of production could lead to war. Demba Moussa Dembele linked primitive accumulation in Africa to the rise of colonial capitalist powers. Pao-yu Ching traced the history of Chinese integration in the global economy and its impact on workers. Fred Engst debunked some myths about China’s rise as a superpower and its relationship with the US. Roland G. Simbulan updated the status of the American military empire and hardware. Pio Verzola Jr. focused on inter-imperialist rivalry and the various proxy wars of the 20th century. And finally, Joma Sison gave an overview of the proletarian struggles across the world while emphasizing the superiority of the socialist alternative. It is instructive that all contributors summarized Lenin’s famous five characteristics of imperialism. More significantly, the contributors updated the features of monopoly capitalism by identifying old and new bubbles such as the tech implosion, the property and housing crisis, and rising debt induced by neoliberal austerity measures. Lenin expounded his ideas on imperialism by citing economic statistics and other data available during his time. Ibon’s book retained this format by supplementing the descriptive text with the latest information on global trade, production, capital investments, military deployment, and the everyday situation of the working classes. Also useful was the succinct presentation of how Lenin’s ideas on imperialism reflected the earlier works of progressive economists and thinkers. Lenin wrote his book during the heyday of the free market doctrine when the Great Depression era was still more than a decade away. He was one of those who saw the inevitable collapse of finance capital and its disastrous implication for the world’s poor, thus, making it more crucial to hasten the revolutionary upsurge. Ibon’s book proved how Lenin’s ideas on imperialism never became obsolete as these continue to serve as a guide to understanding the geopolitics of the world today. That despite being rebranded by some as neoliberalism, globalization, or empire, there’s no doubt that imperialism is still the supreme scourge in the world that must be vanquished. Lenin’s book is still an effective antidote against those who mindlessly preach about the supposed goodness and invincibility of capitalism. It is noteworthy to mention that Ibon’s book also devoted special attention to the political and economic consequences of China’s aspiration for global hegemony. Contributors presented a compelling narrative of China’s growing influence in the world while juxtaposing it with the efforts of US imperialism to preserve and even solidify its position. Contributors were meticulous in exposing the underside of capitalism with Chinese characteristics. Or how workers and citizens in the 21st century continue to experience abuse, exploitation, and discrimination as capitalists extract more super profits across the world. 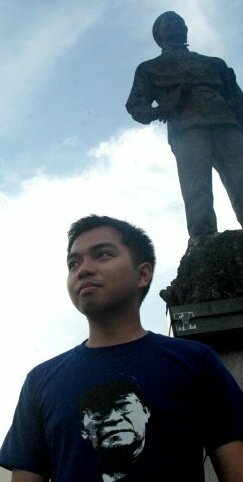 Like Lenin’s original book, Ibon’s book was not just intended for use in the academe. Both were written to aid the workers and other oppressed sectors in their historic battle to defeat imperialism. Both were illuminating, inspiring, and agitating. Imperialism was demystified, dissected, and deplored through a comprehensive critique that also rallied readers to dream and fight for a new world. The re-publication of Lenin’s book on imperialism is a fitting tribute to the centenary of the October Revolution. It is a testament to the enduring legacy of Lenin as a Marxist theoretician. More so, it validates the necessity of combining theory and practice in building a strong revolutionary movement capable of uniting the oppressed against imperialism and all reactionary regimes. This entry was posted on Thursday, November 22nd, 2018 at 8:32 pm	and is filed under economy, education, reds. You can follow any responses to this entry through the RSS 2.0 feed. You can leave a response, or trackback from your own site.